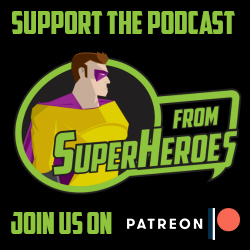 Ramping up to the release of Spider-man Homecoming next week we're talking about those other Spider-men and this week we're breaking down The Amazing Spider-man with guest Mark Bennett (Comedian, host of I Said Shut Up). We're breaking down the peak of the gritty reboot, where did the jokes go, how this Spider-Man is Batman, and the worst training montage ever, which is the Coldplay Footloose training montage. Special thanks to The Kaotica Eyeball for sending us one of their amazing Studio Booth Alternative. If you're a Musician, Podcaster, Voice Over Artist, or Twitch Streamer this is a great way to acoustically treat your space just by placing this product over your mic to get great sound. Visit https://www.kaoticaeyeball.com/ to improve how you sound.